Before you buy a coverstitch machine there are many things to consider, such as brand, type, price range, quality and what you plan to use the machine for. 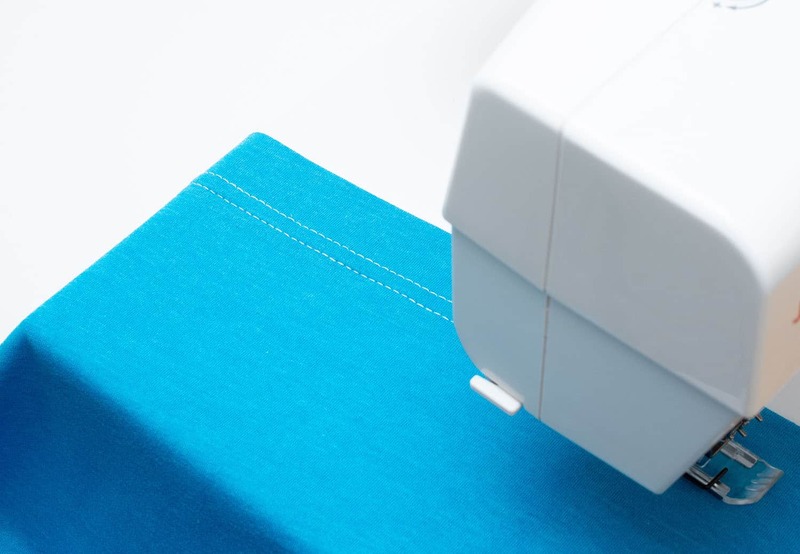 Coverstitch machines are becoming increasingly popular among the home sewing community, but it’s a hefty investment and before one dives in and spend all that precious money there are a lot of things to consider. So I wrote this guide as a way to help you make a decision if a coverstitch machine is worth investing in, and if so, which type would best fit your needs. This coverstitch guide contains some excerpts from my book Master the Coverstitch Machine which talks more in depth about the things one needs to consider before purchasing a coverstitch machine. What exactly is a coverstitch machine? A coverstitch machine is primarily used for hemming and topstitching knits. On the front, the stitches are straight and on the reverse side, a grid or a chain is formed by the looper thread crossing back and forth between the needle threads. This creates a very elastic and durable stitch that makes stitching knits much easier, as it prevents the fabric from stretching out. Especially when hemming stretchy Lycra knits, a coverstitch is usually vastly better than a regular sewing machine. On the right side a twin-needle stitch looks quite similar to a narrow 2-needle coverstitch seam, but on the reverse side, there is a zigzag stitch instead of a looper grid. The twin-needle is generally less elastic than a coverstitch seam, and can sometimes break when stretched to its limit. 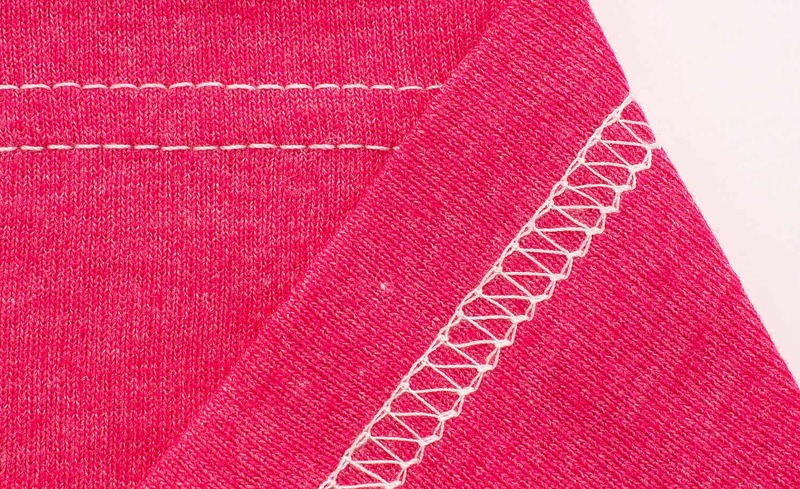 Also, the twin-needle stitch is more prone to tunnelling, where a ridge is formed between the rows of stitches. 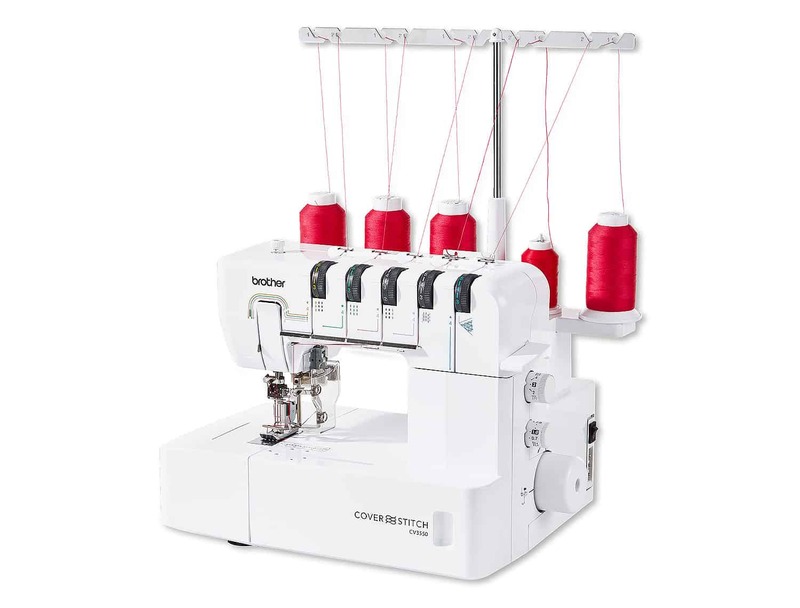 Both sergers and coverstitch machines sew stitches that form loops and they are technically very similar, which is why you can buy machines that both serge seams and coverstitch. But you will not be able to sew a straight stitch and folded hem with a regular, stand-alone serger. Which is why investing in a coverstitch can be an option to explore. 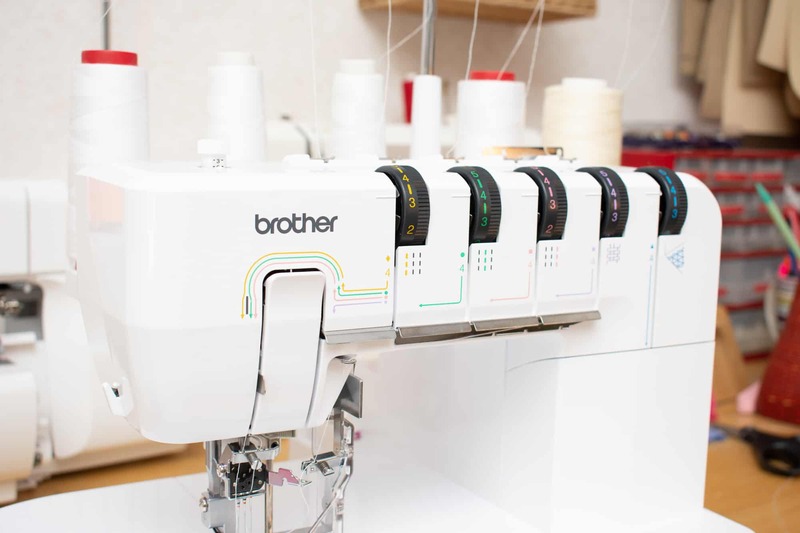 For the domestic market, there are currently four different types of coverstitch machines available: 2-needle, 3-needle, a serger/coverstitch combination machine, and a top-cover machine. This machine has 2 needles and 1 looper and can sew a 3-thread coverstitch and a single-row chainstitch seam, These days it’s less common than the 3-needle version. This is a very versatile machine, which can sew both a 2-needle wide and narrow coverstitch, a single needle chainstitch, and a 3-needle coverstitch seam. 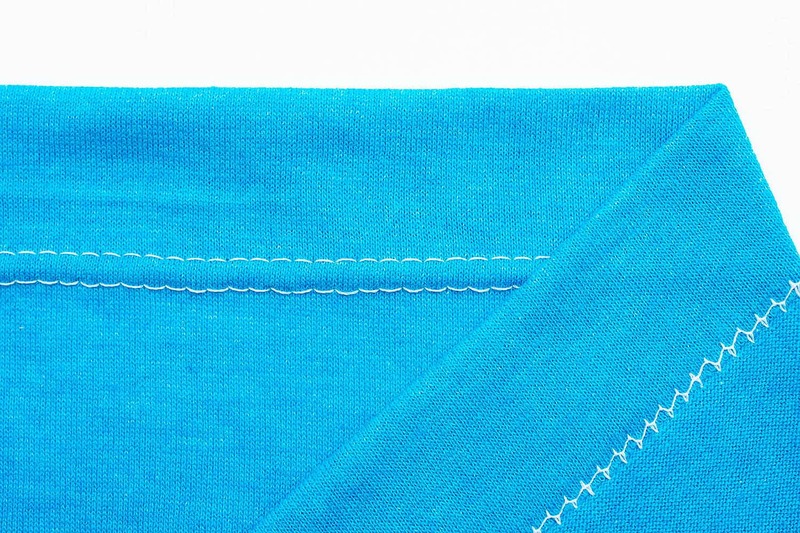 The 3-needle coverstitch seam also creates a very distinct reverse seam that is a popular choice to use as a decorative stitch on the right side of the fabric. 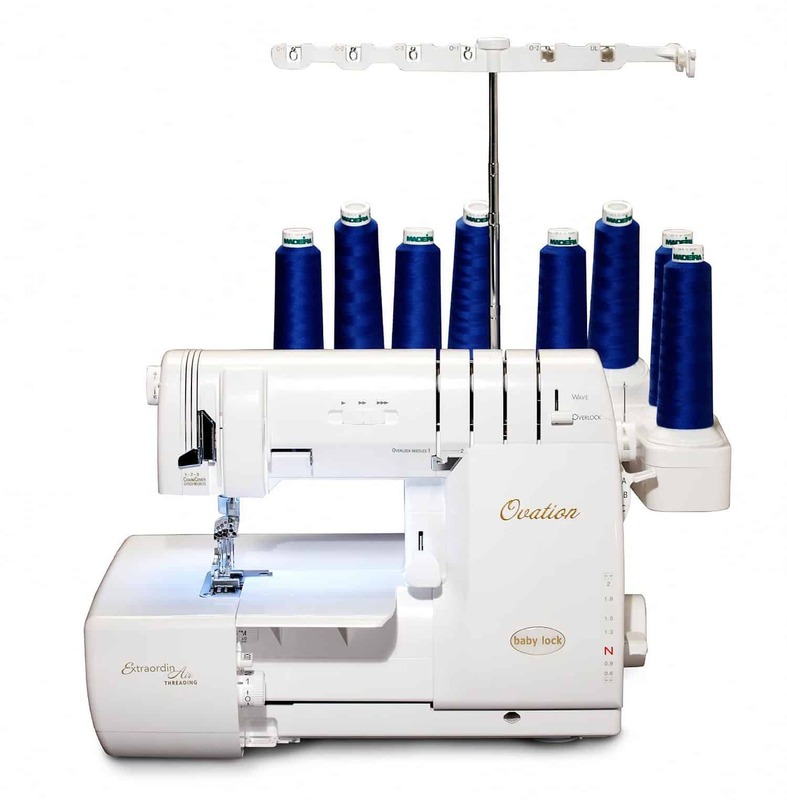 A combo machine can sew overlock, coverstitch, and chainstitch seams. They save space and possibly also money, although some combination machines are quite costly. On some combination machines, you might have to switch and rethread the set-up when you want to change between serging and coverstitching, which can take a few minutes. 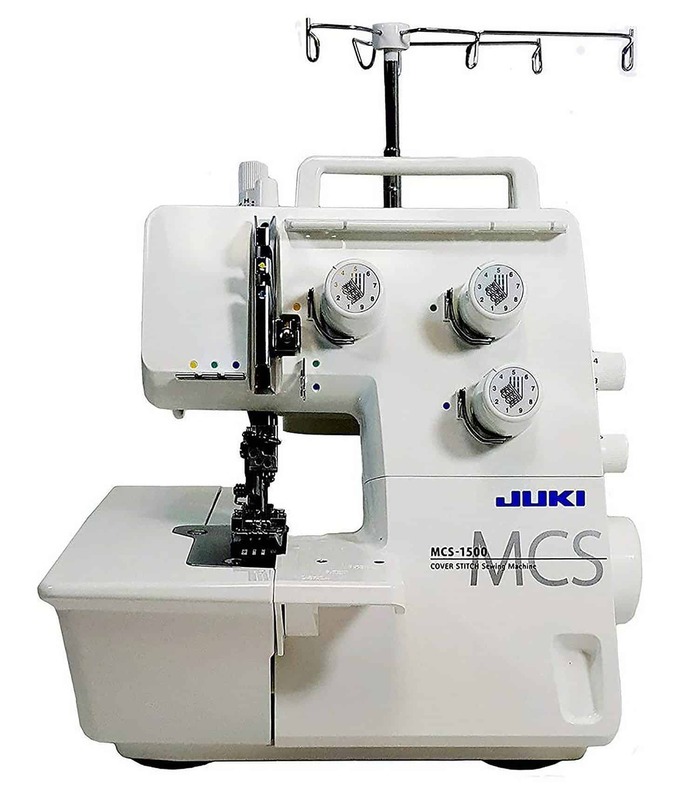 This coverstitch machine that can also sew a decorative double-sided coverstitch seam on both the front and reverse sides of the garment. This top-cover seam looks very similar to the industrial stitches used for knits and can be used for hemming, decorative topstitching, flat joining seams, and much more. As I mentioned above, a coverstitch machine is a big investment, and there are several factors to consider before making a purchase. As high-quality sewing machines are expensive, it can be tempting to look for budget options. But those can be cumbersome to use and the stitch quality is usually lower. If your budget is tight, it is better to buy a high-quality, second-hand coverstitch machine. Buying a machine from a knowledgeable local seller can save you a lot of frustration and hassle later on, and some brands don’t even allow their machines to be sold online. Make sure you put a lot of thought into considering what features you really need before buying. As mentioned above, there are four different types of machines to choose from, and between brands and models, there are also some variations. The range of accessories differs a lot from brand to brand; for instance, not all brands have a binder attachment or an elastic presser foot. So make sure you buy a model that has the accessories you want to use. 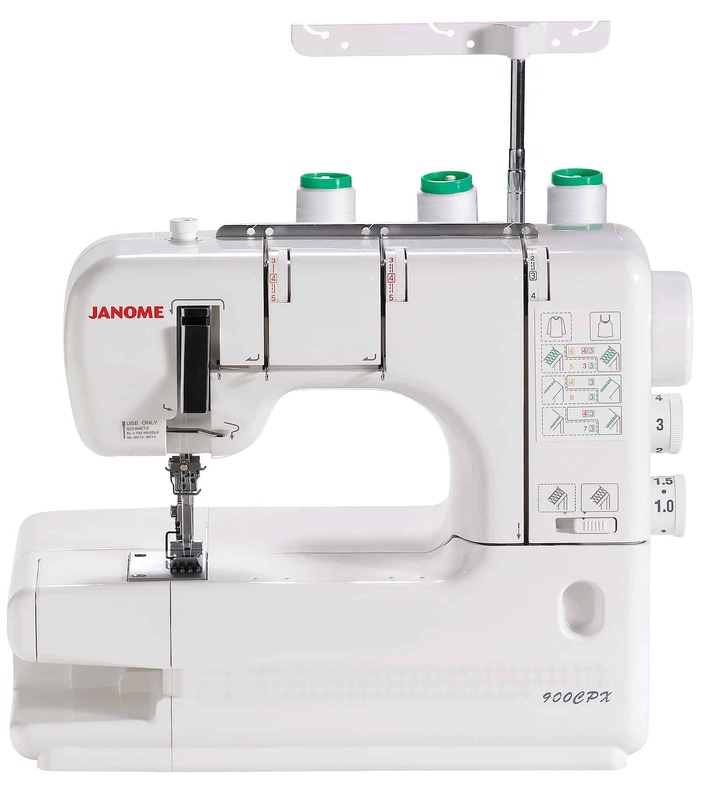 If you are considering getting the Janome Coverpro, you can check out my guide to Janome Coverpro attachments and accessories. I’ve also done a video about coverstitch attachments. Check sewing sites, Amazon and all the other good resources. I especially recommend the Coverstitch Sewing Discussion Group on Facebook, there you’ll find lots of tips and opinions on various coverstitch models and brands. Hope you found this little guide helpful! I’m not saying that everyone should go out and buy a coverstitch machine, even though I would not want to be without mine. But if you sew, or want to start sewing, more knit garments, then a coverstitch will be immensely helpful. You can also use it for jeans-making, attaching elastic, neckline finishes, decorative seams and other fun stuff. So this is definitely a machine you can grow with too. P.S I’ve also made a video on this topic.